LG today announced a sleek and stylish smartphone called Optimus Black at CES 2011 in USA. Major attraction of the LG Optimus Black is the newly introduced Nova mobile display. LG claims that display is the brightest display in the world with up-to 700 cd/m2. That figure looks great when compared with 500 cd/m2 Retina display and 300 cd/m2 AMOLED display. The Nova display also provides up-to 50% more battery life than the traditional smartphones using LCD panels. LG Optimus Black is the first smartphone in the world to get a 2MP front camera and the Wi-Fi Direct features. The Wi-Fi Direct facility in LG Optimus Black is one new standard that let users to connect between the certified devices in a manner that they can share data without wires or WiFi hotspots. With the introduction of Optimus Black and Nova Display, LG joined the league of Samsung and Apple, who already have power efficient and bright mobile display technologies for their latest devices. Nova display consumes only 50% of the power that a typical AMOLED take to display a full white web page. The Nova screen used in Optimus Black is 4.0 inch wide and has a resolution of 480 x 800 pixels. It works great in indoor, outdoor and deep sunlight conditions. LG Optimus Black comes with 1500 mAh battery, which along with the new display would provide optimum battery life. The device is extremely thin (9. 2mm) and it measures only 106 grams of weight. LG Optimus Black comes with Android OS 2.2 Froyo, and it will be upgradable to upcoming versions. The phones use LG’s Optimus 2.0 UI over the default Android interface. Internally, at the heart there is a 1Ghz TI OMAP 3630 processor and sufficient amounts of RAM and storage. The storage is expandable up-to 32GB using Micro-SD card. In the imaging side, LG Optimus Black has a 5MP camera in the back and 2MP camera at the front side for making video calls. Other notable specifications of LG Optimus Black include Bluetooth with A2DP, WiFi, DLNA, GPS, 3.5 mm audio jack, microUSB v2.0, accelerometer, proximity sensors and inbuilt Google applications. 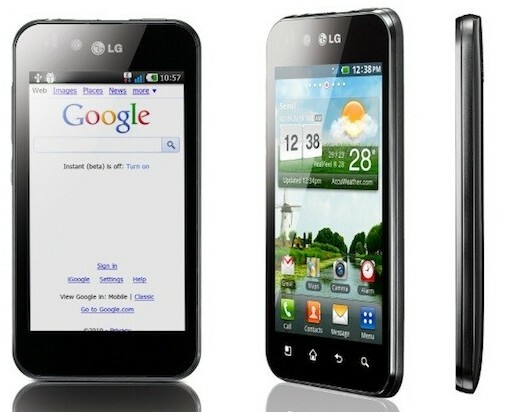 LG will launch Optimus Black in Q1 of 2011 in selected world markets. They have not mentioned the price of Optimus Black, but we believe that would cost around $550-600 for the contract free model. The official price of LG Optimus Black will be shared in this page as soon as more details are available.